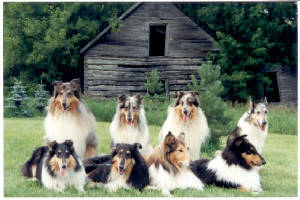 COLLIES: Please contact Hilda @ 204-422-9070 for listing of Collies up for adoption. LABS: Please check out the facebook page "Lab Rescue Manitoba" for the most current pictures & descriptions of Labs up for adoption. Copy & paste address or click link below (in black font). Click here for "Lab Rescue Manitoba" Facebook page. Safehaven Pet Rescue is a small rescue with limited resources. 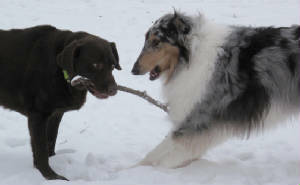 As a result, I am currently accepting only collies and labs (through Lab Rescue Manitoba) when space permits. I can no longer assist with other breeds of dogs or cats. Hello & welcome to Safe Haven Pet Rescue. 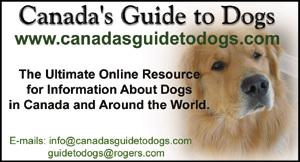 My rescue is a non-profit animal rescue located in Southeastern Manitoba, Canada. This is a 100% volunteer run rescue. I've dedicated my life to the betterment of dogs & their relationship with their owners. Over the years, I have enjoyed showing dogs in both conformation & obedience. I have had the opportunity to teach dog obedience classes helping owners to confidently create a more harmonious working bond between themselves & their canine pets. I especially find fulfillment in rescuing abandoned & abused dogs . I help them to gain confidence in themselves & trust in humans so they can once again enjoy life, as they deserve.